Jeff spends much of his free time with his family, coaching little league for his son’s team, watching his daughter’s softball games, and enjoying the outdoors together with hiking and camping. When the kids are out of the house, Jeff and his wife like to take advantage of the quiet time to sit down with a hot cup of coffee and a good book. In the lab, Jeff is investigating why aging or injured brains are more vulnerable to diseases like Alzheimer’s disease or Parkinson’s disease. He studies the changes in the blood vessels, support cells, and other features that increase disease vulnerability. Jeff grew up in a small town in rural Washington. Neither of his parents were scientists and neither went to college, so he didn’t really have science in mind for a career and he wasn’t sure what to expect when he went to college. The University of Washington had great research opportunities, and Jeff went door to door until he found a faculty member with an opening in the lab for an eager freshman. Getting a real, hands-on look at science outside of the classroom had a big impact on him. A major failure in Jeff’s career happened early in graduate school when he didn’t pass his qualifying exam. It was a crazy time in his life since his their son had just been born right before the exam, and he remembers studying and practicing in the hospital to prepare. He felt optimistic about the exam, but the faculty were not impressed. At that point, Jeff had a new baby, was sleep-deprived, and had six months to prepare and pass the exam re-take or he would have to leave graduate school. 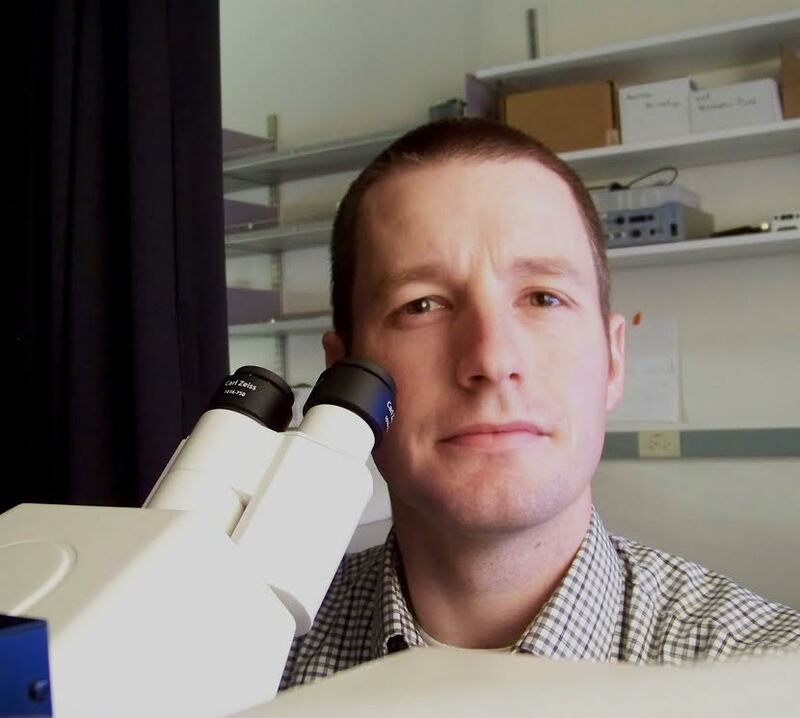 When Jeff first started his postdoc, he was given two projects to start work on. At their first update meeting, his advisor was not pleased with his progress on one project, so he switched to the other. For this second project, he was using two-photon microscopy to visualize fluid moving in and out of the brain. There was an electrifying ah-ha moment where Jeff was sitting in the dark microscopy room seeing his tracer lining up and leaving the brain. It was a rush to know that he was seeing something no one else had seen before. What added to this exciting moment was that his postdoc advisor thought Jeff’s findings were interesting and worth further investigation. Lord of the Rings by J.R.R. Tolkein, Great Expectations by Charles Dickens, Tale of Two Cities by Charles Dickens. One of Jeff’s favorite trips so far has been to a Gordon Research Conference in New England. He went a day early to spend some time in Boston before being tucked away for the week-long conference. Boston was the first place he had ever been in the U.S. where he felt like the things around him were old. This sense of history was really striking to him and made the trip particularly memorable. In science, much of your early career is spent working for short periods of a few to several years at different institutions and with different groups of people. For Jeff, one of the things that has helped maintain the connections between him and his colleagues over the years has been fantasy football. They started a league when he was a fellow, and each year they continue the league, adding new members and bringing old friends back together. If you’re concerned about funding and how hard it is to make it in an academic science career, keep in mind that if you are the best in your field, if you work harder, and if you have better insights than other people, then you will never have to worry about funding. studies into human subjects and clinical populations, and discovering ways to co-opt the glymphatic system to improve drug delivery throughout the brain and spinal cord.